The newest addition to Marblehead's conservation lands, the Robinson Farm, was purchased by the Town in 2005. For almost 200 years this 3.5 acre site was a working dairy farm and now is open to the public for passive enjoyment. 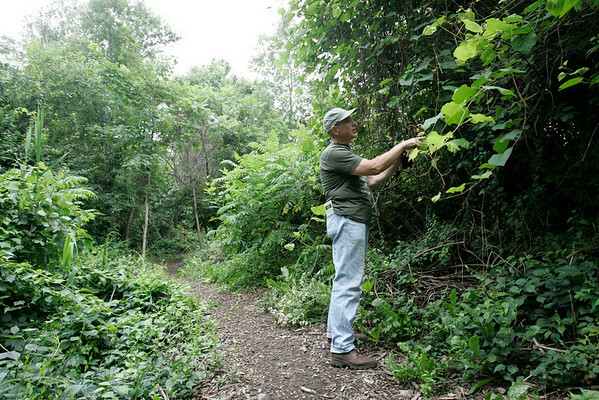 Here Bob French of the Marblehead Conservancy points out a wild grape plant growing around the trails and on the property.